the German late Romantic composer Richard Wetz (pictured), in 1928, was appointed foreign member of the Prussian Academy of the Arts, alongside Igor Stravinsky? British music publisher Boosey & Hawkes owns copyrights to much major 20th century music, including works by Bartók, Bernstein, Britten, Elliott Carter, Rachmaninoff, Steve Reich and Stravinsky? Igor Stravinsky agreed to compose the musical score for the ballet Circus Polka only under the condition that the elephants performing it be very young? Igor Fyodorovich Stravinsky (Russian: Игорь Фёдорович Стравинский, Igor' Fjodorovič Stravinskij) (17 June [O.S. 5 June] 1882 – 6 April 1971) was a Russian composer, pianist, and conductor, widely acknowledged as one of the most important and influential composers of 20th century music. He was a quintessentially cosmopolitan Russian who was named by Time magazine as one of the 100 most influential people of the century. He became a naturalized US citizen in 1946. In addition to the recognition he received for his compositions, he also achieved fame as a pianist and a conductor, often at the premieres of his works. In the 1950s he adopted serial procedures, using the new techniques over his last twenty years. Stravinsky's compositions of this period share traits with all of his earlier output: rhythmic energy, the construction of extended melodic ideas out of a few two- or three-note cells, and clarity of form, of instrumentation, and of utterance. Stravinsky was born in 1882 in Oranienbaum (renamed Lomonosov in 1948), Russia and brought up in Saint Petersburg. His childhood, he recalled in his autobiography, was troubled: "I never came across anyone who had any real affection for me." His father, Fyodor Stravinsky, was a bass singer at the Mariinsky Theater in Saint Petersburg, and the young Stravinsky began piano lessons and later studied music theory and attempted some composition. In 1890, Stravinsky saw a performance of Tchaikovsky's ballet The Sleeping Beauty at the Mariinsky Theater; the performance, his first exposure to an orchestra, mesmerized him. At fourteen, he had mastered Mendelssohn's Piano Concerto in G minor, and the next year, he finished a piano reduction of one of Alexander Glazunov's string quartets. Despite his enthusiasm for music, his parents expected him to become a lawyer. Stravinsky enrolled to study law at the University of Saint Petersburg in 1901, but was ill-suited for it, attending fewer than fifty class sessions in four years. After the death of his father in 1902, he had already begun spending more time on his musical studies. Because of the closure of the university in the spring of 1905, in the aftermath of Bloody Sunday, Stravinsky was prevented from taking his law finals, and received only a half-course diploma, in April 1906. Thereafter, he concentrated on music. On the advice of Nikolai Rimsky-Korsakov, probably the leading Russian composer of the time, he decided not to enter the Saint Petersburg Conservatoire; instead, in 1905, he began to take twice-weekly private tutelage from Rimsky-Korsakov, who became like a second father to him. These lessons continued until 1908. In 1905 he was betrothed to his cousin Katerina Nossenko, whom he had known since early childhood. They were married on 23 January 1906, and their first two children, Fyodor and Ludmilla, were born in 1907 and 1908 respectively. In 1909, his Feu d'artifice (Fireworks), was performed in Saint Petersburg, where it was heard by Sergei Diaghilev, the director of the Ballets Russes in Paris. Diaghilev was sufficiently impressed to commission Stravinsky to carry out some orchestrations, and then to compose a full-length ballet score, The Firebird. Stravinsky travelled to Paris in 1910 to attend the premiere of The Firebird. His family soon joined him, and decided to remain in the West for a time. He moved to Switzerland, where he lived until 1920 in Clarens and Lausanne. During this time he composed three further works for the Ballets Russes—Petrushka (1911), written in Lausanne, and The Rite of Spring (1913) and Pulcinella, both written in Clarens. While the Stravinskys were in Switzerland, their second son, Soulima (who later became a minor composer), was born in 1910; and their second daughter, Maria Milena, was born in 1913. During this last pregnancy, Katerina was found to have tuberculosis, and she was placed in a Swiss sanatorium for her confinement. After a brief return to Russia in July 1914 to collect research materials for Les Noces, Stravinsky left his homeland and returned to Switzerland just before the outbreak of World War I brought about the closure of the borders. He was not to return to Russia for nearly fifty years. Stravinsky was one of the few Eastern Orthodox or Russian Orthodox community representatives living in Switzerland at that time and is still remembered as such in Switzerland to date. He had a significant artistic relationship with the Swiss philanthropist Werner Reinhart. He approached Reinhart for financial assistance when he was writing Histoire du soldat (The Soldier’s Tale). The first performance was conducted by Ernest Ansermet on 28 September 1918, at the Theatre Municipal de Lausanne. Werner Reinhart sponsored and to a large degree underwrote this performance. In gratitude, Stravinsky dedicated the work to Reinhart, and even gave him the original manuscript. Reinhart continued his support of Stravinsky's work in 1919 by funding a series of concerts of his recent chamber music. These included a suite of five numbers from The Soldier's Tale, arranged for clarinet, violin, and piano, which was a nod to Reinhart, who was an excellent amateur clarinettist. The suite was first performed on 8 November 1919, in Lausanne, long before the better-known suite for the seven original performers became widely known. In gratitude for Reinhart’s ongoing support, Stravinsky dedicated his Three Pieces for Clarinet (composed October–November 1918) to Reinhart. Reinhart later founded a music library of Stravinskiana at his home in Winterthur. Stravinsky moved to France in 1920, where he formed a business and musical relationship with the French piano manufacturer Pleyel. Pleyel essentially acted as his agent in collecting mechanical royalties for his works, and in return provided him with a monthly income and a studio space in which to work and to entertain friends and business acquaintances. Stravinsky also arranged (and to some extent re-composed) many of his early works for the Pleyela, Pleyel's brand of player piano. Stravinsky did so in a way that made full use of the piano's 88 notes, without regard for the number or span of human fingers and hands. These were not recorded rolls, but were instead marked up from a combination of manuscript fragments and handwritten notes by the French musician, Jacques Larmanjat (musical director of Pleyel's roll department). While many of these works are now part of the standard repertoire, at the time many orchestras found his music beyond their capabilities and unfathomable. Major compositions issued on Pleyela piano rolls include The Rite of Spring, Petrushka, Firebird, Les Noces and Song of the Nightingale. During the 1920s he also recorded Duo-Art rolls for the Aeolian Company in both London and New York, not all of which survive. After a short stay near Paris, Stravinsky moved with his family to the south of France. He returned to Paris in 1934, to live at the rue Faubourg-St. Honoré. Stravinsky later remembered this as his last and unhappiest European address; his wife's tuberculosis infected his eldest daughter Ludmila, and Stravinsky himself. Ludmila died in 1938, Katerina in the following year. Stravinsky spent five months in hospital, during which time his mother also died. Although his marriage to Katerina endured for 33 years, Vera de Bosset (1888–1982), the true love of his life and later his partner until his death, became his second wife. When Stravinsky met Vera in Paris in February 1921, she was married to the painter and stage designer Serge Sudeikin; however, they soon began an affair which led to her leaving her husband. From then until Katerina's death from cancer in 1939, Stravinsky led a double life, spending some of his time with his first family and the rest with Vera. Katerina soon learned of the relationship and accepted it as inevitable and permanent. He became a French citizen in 1934. During his latter years in Paris, Stravinsky had developed professional relationships with key people in the United States; he was already working on the Symphony in C for the Chicago Symphony Orchestra, and had agreed to lecture at Harvard during the academic year of 1939–40. When World War II broke out in September 1939, Stravinsky moved to the United States. Vera followed him early in the next year and they were married in Bedford, MA, USA, on 9 March 1940. Stravinsky settled down in the Los Angeles area (1260 North Wetherly Drive, West Hollywood)  where, in the end, he spent more time as a resident than any other city during his lifetime. He became a naturalized citizen in 1946. Stravinsky had adapted to life in France, but moving to America at the age of 58 was a very different prospect. For a time, he preserved a ring of emigré Russian friends and contacts, but eventually found that this did not sustain his intellectual and professional life. He was drawn to the growing cultural life of Los Angeles, especially during World War II, when so many writers, musicians, composers, and conductors settled in the area; these included Otto Klemperer, Thomas Mann, Franz Werfel, George Balanchine and Arthur Rubinstein. He lived fairly near to Arnold Schoenberg, though he did not have a close relationship with him. Bernard Holland notes that he was especially fond of British writers who often visited him in Beverly Hills, "like W. H. Auden, Christopher Isherwood, Dylan Thomas (who shared the composer's taste for hard spirits) and, especially, Aldous Huxley, with whom Stravinsky spoke in French." He settled into life in Los Angeles and sometimes conducted concerts with the Los Angeles Philharmonic at the famous Hollywood Bowl as well as throughout the U.S. When he planned to write an opera with W. H. Auden, the need to acquire more familiarity with the English-speaking world coincided with his meeting the conductor and musicologist Robert Craft. Craft lived with Stravinsky until the composer's death, acting as interpreter, chronicler, assistant conductor, and factotum for countless musical and social tasks. On April 15, 1940, Stravinsky's unconventional major seventh chord in his arrangement of the Star-Spangled Banner led to his arrest by the Boston police for violating a federal law that prohibited the reharmonization of the National Anthem. Stravinsky was on the lot of Paramount Pictures when the musical score to the 1956 film The Court Jester (starring Danny Kaye) was being recorded. The red “recording in progress” light was illuminated to ensure no interruptions, Vic Schoen, the composer of the score, started to conduct a cue but noticed that the entire orchestra had turned to look at Stravinsky, who had just walked into the studio. Schoen said, “The entire room was astonished to see this short little man with a big chest walk in and listen to our session. I later talked with him after we were done recording. We went and got a cup of coffee together. After listening to my music Stravinsky had told me ‘You have broken all the rules’. At the time I didn’t understand his comment because I had been self-taught. It took me years to figure out what he had meant." In 1959, Stravinsky was awarded the Sonning Award, Denmark's highest musical honour. In 1962, he accepted an invitation to return to Leningrad (today known as Saint Petersburg) for a series of concerts. He spent more than two hours speaking with Soviet leader Nikita Khrushchev, who urged him to return to the Soviet Union. Despite the invitation, Stravinsky remained settled in the West. It was during the 1960s that Stravinsky became mentor for Warren Zevon. Zevon occasionally studied Classical music in Stravinsky's home. In 1969, he moved to New York where he lived his last years at the Essex House. Two years later, he died at the age of 88 in New York City and was buried in Venice on the cemetery island of San Michele. His grave is close to the tomb of his long-time collaborator Sergei Diaghilev. Stravinsky's professional life had encompassed most of the 20th century, including many of its modern classical music styles, and he influenced composers both during and after his lifetime. He has a star on the Hollywood Walk of Fame at 6340 Hollywood Boulevard and posthumously received the Grammy Award for Lifetime Achievement in 1987. Stravinsky displayed an inexhaustible desire to explore and learn about art, literature, and life. This desire manifested itself in several of his Paris collaborations. Not only was he the principal composer for Sergei Diaghilev's Ballets Russes, but he also collaborated with Pablo Picasso (Pulcinella, 1920), Jean Cocteau (Oedipus Rex, 1927) and George Balanchine (Apollon musagète, 1928). His taste in literature was wide, and reflected his constant desire for new discoveries. The texts and literary sources for his work began with a period of interest in Russian folklore, progressed to classical authors and the Latin liturgy, and moved on to contemporary France (André Gide, in Persephone) and eventually English literature, including Auden, T. S. Eliot and medieval English verse. At the end of his life, he set Hebrew scripture in Abraham and Isaac. Patronage was never far away. In the early 1920s, Leopold Stokowski gave Stravinsky regular support through a pseudonymous "benefactor". The composer was also able to attract commissions: most of his work from The Firebird onwards was written for specific occasions and was paid for generously. Stravinsky proved adept at playing the part of "man of the world", acquiring a keen instinct for business matters and appearing relaxed and comfortable in many of the world's major cities. Paris, Venice, Berlin, London, Amsterdam and New York City all hosted successful appearances as pianist and conductor. Most people who knew him through dealings connected with performances spoke of him as polite, courteous and helpful. For example, Otto Klemperer, who knew Arnold Schoenberg well, said that he always found Stravinsky much more co-operative and easy to deal with. At the same time, he had a marked disregard for those he perceived to be his social inferiors: Robert Craft was embarrassed by his habit of tapping a glass with a fork and loudly demanding attention in restaurants. Although a notorious philanderer (who was rumoured to have affairs with high-profile partners such as Coco Chanel), Stravinsky was also a family man who devoted considerable amounts of his time and expenditure to his sons and daughters. Stravinsky's career may be divided roughly into three stylistic periods. The first period (excluding some early minor works) began with Feu d'artifice (Fireworks) and achieved prominence with the three ballets composed for Diaghilev. These three works have several characteristics in common: they are scored for an extremely large orchestra; they use Russia folk themes and motifs; and they are influenced by Rimsky-Korsakov's imaginative scoring and instrumentation. They also exhibit considerable stylistic development: from the L'Oiseau de feu (The Firebird), which emphasizes certain tendencies in Rimsky-Korsakov and features pandiatonicism conspicuously in the third movement, to the use of polytonality in Petrushka, and the intentionally brutal polyrhythms and dissonances of Le Sacre du printemps (The Rite of Spring). The first of the ballets, L'Oiseau de feu, is noted for its imaginative orchestration, evident at the outset from the introduction in 12/8 meter, which exploits the low register of the double bass. Petrushka, the first of Stravinsky's ballets to draw on folk mythology, is also distinctively scored. In the third ballet, Le Sacre du printemps, the composer attempted to depict musically the brutality of pagan Russia, which inspired the violent motifs that recur throughout the work. If Stravinsky's stated intention was "to send them all to hell", then he may have rated the 1913 premiere of Le sacre du printemps as a success: it is among the most famous classical music riots, and Stravinsky referred to it frequently as a "scandale" in his autobiography. There were reports of fistfights among the audience, and the need for a police presence during the second act. The real extent of the tumult, however, is open to debate, and these reports may be apocryphal. Other pieces from this period include: Le Rossignol (The Nightingale); Renard (1916); Histoire du soldat (The Soldier's Tale) (1918); and Les Noces (The Wedding) (1923). The next phase of Stravinsky's compositional style extended from roughly 1920, when he adopted a musical idiom similar to that of the Classical period, until 1954, when he turned to twelve-tone serialism. Pulcinella (1920) and the Octet (1923) for wind instruments are Stravinsky's first compositions to feature his re-examination of the classical music of Mozart and Bach and their contemporaries. For this "neo-classical" style Stravinsky abandoned the large orchestras demanded by the ballets, and turned instead largely to wind instruments, the piano, and choral and chamber works. Other works such as Oedipus Rex (1927), Apollon musagète (1928, for the Russian Ballet) and the Dumbarton Oaks Concerto (1937–38) continued this re-thinking of eighteenth-century musical styles. Works from this period include the three symphonies: the Symphonie des Psaumes (Symphony of Psalms) (1930), Symphony in C (1940) and Symphony in Three Movements (1945). Apollon, Persephone (1933) and Orpheus (1947) exemplify not only Stravinsky's return to music of the Classical period, but also his exploration of themes from the ancient Classical world such as Greek mythology. Stravinsky completed his last neo-classical work, the opera The Rake's Progress, in 1951, to a libretto by W. H. Auden based on the etchings of Hogarth. It was almost ignored after it was staged by the Metropolitan Opera in 1953. It was presented by the Santa Fe Opera in its first season in 1957 with Stravinsky in attendance, and this marked the beginning of his long association with the company. The music is direct but quirky; it borrows from classic tonal harmony but also interjects surprising dissonances; it features Stravinsky's trademark off-rhythms; and it harks back to the operas and themes of Monteverdi, Gluck and Mozart. The opera was revived by the Metropolitan Opera in 1997. Stravinsky began using serial compositional techniques, including dodecaphony, the twelve-tone technique originally devised by Arnold Schoenberg, in the early 1950s (after Schoenberg's death). Robert Craft encouraged this undertaking. He first experimented with non-twelve-tone serial technique in small-scale vocal and chamber works such as the Cantata (1952), Septet (1953), and Three Songs from Shakespeare (1953), and his first composition to be fully based on these non-twelve-tone serial techniques is In Memoriam Dylan Thomas (1954). Agon (1954–57) is his first work to include a twelve-tone series, and Canticum Sacrum (1955) is his first piece to contain a movement entirely based on a tone row ("Surge, aquilo"). Stravinsky later expanded his use of dodecaphony in works including Threni (1958), A Sermon, a Narrative, and a Prayer (1961), and The Flood (1962), which are based on biblical texts. Agon, written from 1954 to 1957, is a ballet choreographed for twelve dancers. It is an important transitional composition between Stravinsky's neo-classical period and his serial style. Some numbers of Agon are reminiscent of the "white-note" tonality of his neo-classic period, while others (for example Bransle Gay) display his re-interpretation of serial methods. The All Music Guide (AMG) claims that Stravinsky was "one of music's truly epochal innovators". The most important aspect of Stravinsky's work aside from his technical innovations, including in rhythm and harmony, is the "changing face" of his compositional style while always "retaining a distinctive, essential identity". He himself was inspired by different cultures, languages and literatures. As a consequence, his influence on composers both during his lifetime and after his death was, and remains, considerable. Stravinsky's use of motivic development (the use of musical figures that are repeated in different guises throughout a composition or section of a composition) included additive motivic development. This is where notes are subtracted or added to a motif without regard to the consequent changes in meter. A similar technique may be found as early as the sixteenth century, for example in the music of Cipriano de Rore, Orlandus Lassus, Carlo Gesualdo, and Giovanni de Macque, music with which Stravinsky exhibited considerable familiarity. The Rite of Spring is also notable for its relentless use of ostinati; for example, in the eighth note ostinato on strings accented by eight horns in the section Augurs of Spring (Dances of the Young Girls). The work also contains passages where several ostinati clash against one another. Glass also praises Stravinsky's "primitive, offbeat rhythmic drive". According to Andrew J. Browne, "Stravinsky is perhaps the only composer who has raised rhythm in itself to the dignity of art." Stravinsky's rhythm and vitality greatly influenced composer Aaron Copland. Stravinsky's first neo-classical works were the ballet Pulcinella of 1920, and the stripped-down and delicately scored Octet for winds of 1923. Stravinsky may have been preceded in his use of neoclassical devices by composers such as Sergei Prokofiev and Erik Satie. By the late 1920s and 1930s, the use by composers of neoclassicism had become widespread. Stravinsky continued a long tradition, stretching back at least to the fifteenth century in the form of the quodlibet and parody mass, by composing pieces which elaborate on individual works by earlier composers. An early example of this is his Pulcinella of 1920, in which he used music which at the time was attributed to Giovanni Pergolesi as source material, at times quoting it directly and at other times reinventing it. He developed the technique further in the ballet The Fairy's Kiss of 1928, based on the music—mostly piano pieces—of Tchaikovsky. Later examples of comparable musical transformations include Stravinsky's use of Schubert in Circus Polka (1942) and Happy Birthday to You in Greeting Prelude (1955). In Le Sacre du Printemps Stravinsky stripped folk themes to their most basic melodic outlines, and often contorted them beyond recognition with added notes, and other techniques including inversion and diminution. Like many of the late romantic composers, Stravinsky often called for huge orchestral forces, especially in the early ballets. His first breakthrough The Firebird proved him the equal of Nikolai Rimsky-Korsakov and lit the "fuse under the instrumental make up of the 19th century orchestra". In The Firebird he took the orchestra apart and analyzed it. The Rite of Spring on the other hand has been characterized by Aaron Copland as the foremost orchestral achievement in 20th century. Stravinsky also wrote for unique combinations of instruments in smaller ensembles, chosen for their precise tone colours. For example, Histoire du soldat (The Soldier's Tale) is scored for clarinet, bassoon, cornet, trombone, violin, double bass and percussion, a strikingly unusual combination for 1918. Stravinsky occasionally exploited the extreme ranges of instruments, most famously at the opening of the Rite of Spring where Stravinsky uses the extreme upper reaches of the bassoon to simulate the symbolic "awakening" of a spring morning. Erik Satie wrote an article about Igor Stravinsky that was published in Vanity Fair (1922). Satie had met Stravinsky for the first time in 1910. Satie's attitude towards the Russian composer is marked by deference, as can be seen from the letters he wrote him in 1922, preparing for the Vanity Fair article. With a touch of irony, he concluded one of these letters "I admire you: are you not the Great Stravinsky? I am but little Erik Satie." In the published article, Satie argued that measuring the "greatness" of an artist by comparing him to other artists, as if speaking about some "truth", is illusory: every piece of music should be judged on its own merits, not by comparing it to the standards of other composers. That was exactly what Jean Cocteau had done, when commenting deprecatingly on Stravinsky in his 1918 book Le Coq et l'Arlequin. All the signs indicate a strong reaction against the nightmare of noise and eccentricity that was one of the legacies of the war.... What has become of the works that made up the program of the Stravinsky concert which created such a stir a few years ago? Practically the whole lot are already on the shelf, and they will remain there until a few jaded neurotics once more feel a desire to eat ashes and fill their belly with the east wind. In 1935, American composer Marc Blitzstein compared Stravinsky to Jacopo Peri and C. P. E. Bach, conceding that "There is no denying the greatness of Stravinsky. It is just that he is not great enough". Blitzstein's Marxist position is that Stravinsky's wish was to "divorce music from other streams of life," which is "symptomatic of an escape from reality", resulting in a "loss of stamina his new works show", naming specifically Apollo, the Capriccio, and Le Baiser de la fée. Composer Constant Lambert described pieces such as Histoire du soldat (The Soldier's Tale) as containing "essentially cold-blooded abstraction". Lambert continued, "melodic fragments in Histoire du Soldat are completely meaningless themselves. They are merely successions of notes that can conveniently be divided into groups of three, five, and seven and set against other mathematical groups", and he described the cadenza for solo drums as "musical purity...achieved by a species of musical castration". He compared Stravinsky's choice of "the drabbest and least significant phrases" to Gertrude Stein's: "Everyday they were gay there, they were regularly gay there everyday" ("Helen Furr and Georgine Skeene", 1922), "whose effect would be equally appreciated by someone with no knowledge of English whatsoever". In his book Philosophy of Modern Music (1949), Theodor Adorno called Stravinsky an acrobat and spoke of hebephrenic and psychotic traits in several of Stravinsky's works. Contrary to a common misconception, however, Adorno didn't think that the hebephrenic and psychotic imitations Stravinsky's music was supposed to contain were its main fault, as he clearly pointed out in a postscriptum added later to his "Philosophy": Adorno's criticism of Stravinsky is more concerned with the "turn into the positive" Stravinsky's music took (according to Adorno) in his neoclassical works. Part of the composer's error, in Adorno's view, was his neo-classicism, but more important was his music's "pseudomorphism of painting," playing off le temps espace (time-space) rather than le temps durée (time-duration) of Henri Bergson. "One trick characterizes all of Stravinsky's formal endeavors: the effort of his music to portray time as in a circus tableau and to present time complexes as though they were spatial. This trick, however, soon exhausts itself." His "rhythmic procedures closely resemble the schema of catatonic conditions. In certain schizophrenics, the process by which the motor apparatus becomes independent leads to infinite repetition of gestures or words, following the decay of the ego." Adorno thought Schoenberg's works contained a more appropriate response, yet today's music draws heavily from the avenues Stravinsky explored. Schoenberg's 'polytonal' approach, and serialism in general, have declined in use. Stravinsky's reception in Russia and the USSR went back and forth. Performances of his music stopped from around 1933 until the early 1960s, at which point the official position became that one must appreciate Stravinsky. According to Paul Griffiths, The Rake's Progress "gives justification in terms of human psychology, and of the realities of the world, for that obsessional need to repeat and return". While Stravinsky's music has been criticized for its range of styles, scholars had "gradually begun to perceive unifying elements in Stravinsky's music" by the 1980s, including a "'seriousness' of 'tone' or of 'purpose'". However, from the mid-1960s onward Stravinsky's influence is encountered in many musician's work, including Steve Reich, Phillip Glass, Animal Collective, Battles (band), and Burial (musician). Igor Stravinsky found recordings a practical and useful tool in preserving his own thoughts on the interpretation of his music. As a conductor of his own music, he recorded primarily for Columbia Records, beginning in 1928 with a performance of the original suite from The Firebird and concluding in 1967 with the 1945 suite from the same ballet. In the late 1940s, he made several recordings for RCA Victor at the Republic Studios in Los Angeles. Although most of his recordings were made with studio musicians, he also worked with the Chicago Symphony Orchestra, the Cleveland Orchestra, the CBC Symphony Orchestra, the New York Philharmonic Orchestra, the Royal Philharmonic Orchestra, and the Bavarian Broadcasting Symphony Orchestra. During his lifetime, Stravinsky appeared on several telecasts, including the 1962 world premiere of The Flood on CBS television; although Stravinsky appeared on the telecast, the actual performance was conducted by Robert Craft. Numerous films and videos of the composer have been preserved. ^ The names of uncredited collaborators are given in Walsh (2001). ^ Glazunov, though, thought little of the young Stravinsky's composition skills, calling him unmusical (Dubal 2001, 564). ^ "Orthodox Church in Switzerland". Switzerland.isyours.com. http://switzerland.isyours.com/e/guide/religion/christianism/orthodox.html. Retrieved 2010-03-09. ^ a b c Alberto Martinez Perez <http://www.ampsoft.net/>. "Ragtime Ensemble presents The Soldier’s Tale". Ragtime-ensemble.com. http://www.ragtime-ensemble.com/english/Presentation.php. Retrieved 2010-03-09. ^ "Concert artists guild" (PDF). http://www.promusicajoplin.org/pp/uploads/programs/antares_prog_notes.pdf. Retrieved 2010-03-09. ^ "The composer, the antiquarian and the go-between". Findarticles.com. 2009-06-02. http://findarticles.com/p/articles/mi_qa3870/is_/ai_n19197294. Retrieved 2010-03-09. ^ "Chamber Music Society of Lincoln Center". Chambermusicsociety.org. http://www.chambermusicsociety.org/calendar/116/apr-15-17. Retrieved 2010-03-09. ^ "L'Histoire du Soldat". Myhome.sunyocc.edu. http://myhome.sunyocc.edu/~bridger/papers/lhistpaper.htm. Retrieved 2010-03-09. ^ "A Musical Feast". A Musical Feast. http://www.amusicalfeast.com/january_29__2008_notes.html. Retrieved 2010-03-09. ^ "naxos". Naxosdirect.com. http://www.naxosdirect.com/title/8.557505. Retrieved 2010-03-09. ^ "Kuko.com". Kuke.com. http://www.kuke.com/kuke/library/content/8.557505/;jsessionid=869CAA040C41B1FD40B1FAEB1AE3F863.server1. Retrieved 2010-03-09. ^ Lawson 1986, and Stravinsky and the Pianola, under External Links. ^ June 3, 2007 (2007-06-03). "June 3, 1957, The Daily Mirror, Stravinsky turns 75". Latimesblogs.latimes.com. http://latimesblogs.latimes.com/thedailymirror/2007/06/stravinsky_turn.html. Retrieved 2010-03-09. ^ Bernard Holland (11 March 2001). "Stravinsky, a Rare Bird Amid the Palms; A Composer in California, At Ease if Not at Home". The New York Times. 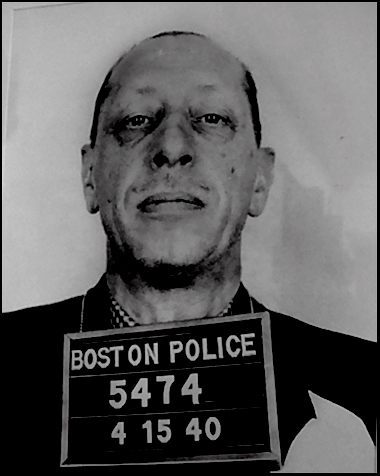 ^ "April 15, 1940, Stravinsky's Boston Police mugshot.". http://tablaman.files.wordpress.com/2007/11/stravinsky_mugshot_resize.jpg. Retrieved 2010-03-09. ^ Rosen, Brian M. "September 3, 2006, Post Classic, Stravinsky captured in words". Artsjournal.com. http://www.artsjournal.com/postclassic/2006/09/stravinsky_captured_in_words.html. Retrieved 2010-03-09. ^ "Stravinsky's quotations". Brainyquote.com. 1971-04-06. http://www.brainyquote.com/quotes/authors/i/igor_stravinsky.html. Retrieved 2010-03-09. ^ Wenborn 1985, 17, alludes to this comment, without giving a specific source. ^ See Eksteins 1989, 10–16, for an overview of contradictory reportage of the event by participants and the press. ^ a b AMG (2008). "Igor Stravinsky" biography, AllMusic. ^ Stravinsky and Craft 1960, 116–17. ^ "The Primitive Pulse of Stravinsky's 'Rite of Spring' : NPR Music". Npr.org. http://www.npr.org/templates/story/story.php?storyId=9041627. Retrieved 2010-03-09. ^ Simeone, Craft, and Glass [n.d.] (External links, below). ^ Hazlewood n.d. (External links, below). ^ Volta, Ornella. Satie seen through his letters. London : Boyars, 1989, ISBN 0-7145-2980-X, first pages of chapter on contemporaries. ^ Review: "Searching for Stravinskii's Essence", p.282. Author(s): Simon Karlinsky. Source: Russian Review, Vol. 44, No. 3, (Jul., 1985), pp. 281–287. Published by: Blackwell Publishing on behalf of The Editors and Board of Trustees of the Russian Review. ^ Paul Griffiths, Igor Stravinsky: The Rake's Progress [place and publisher unknown], 1982. ISBN 0521281997. Quoted in Pasler (1983), p. 608. ^ Review: "Stravinsky and His Craft: Trends in Stravinsky Criticism and Research", p.608. Author(s): Jann Pasler. Source: The Musical Times, Vol. 124, No. 1688, Russian Music, (Oct., 1983), pp. 605–609. Published by: Musical Times Publications Ltd.
Lehrer, Jonah. 2007. Igor Stravinsky and the Source of Music, in his Proust Was a Neuroscientist. Boston: Houghton Mifflin Co. ISBN 0618620109. (French) A biography of Igor Stravinsky, from IRCAM's website. Jews and Geniuses On Stravinsky being a Jew or not, and about his antisemitism. See also another response and the original media review by Robert Craft. "The phenomenon of music is given to us with the sole purpose of establishing an order in things, including, and particularly, the co-ordination between man [sic] and time." "One has a nose. The nose scents and it chooses. An artist is simply a kind of pig snouting truffles." "For I consider that music is, by its very nature, essentially powerless to express anything at all, whether a feeling, an attitude of mind, a psychological mood, a phenomenon of nature, etc....Expression has never been an inherent property of music. That is by no means the purpose of its existence. If, as is nearly always the case, music appears to express something, this is only an illusion and not a reality. It is simply an additional attribute which, by tacit and inveterate agreement, we have lent it, thrust upon it, as a label, a convention - in short, an aspect unconsciously or by force of habit, we have come to confuse with its essential being." Igor Stravinsky (1936). An Autobiography, p.53-54. "The over-publicized bit about expression (or non-expression) was simply a way of saying that music is supra-personal and super-real and as such beyond verbal meanings and verbal descriptions. It was aimed against the notion that a piece of music is in reality a transcendental idea "expressed in terms of" music, with the reductio ad absurdum implication that exact sets of correlatives must exist between a composer's feelings and his notation. It was offhand and annoyingly incomplete, but even the stupider critics could have seen that it did not deny musical expressivity, but only the validity of a type of verbal statement about musical expressivity. I stand by the remark, incidentally, though today I would put it the other way around: music expresses itself." "It is the transcendent (or 'abstract' or 'self-contained') nature of music that the new so called concretism--Pop Art, eighteen-hour slices-of-reality films, musique concrete--opposes. But instead of bringing art and reality closer together, the new movement merely thins out the distinction." Igor Stravinsky and Robert Craft (1982). Themes and Conclusions, p.188. Berkley: University of California Press. "What I cannot follow are the manic-depressive fluctuations from total control to no control, from the serialization of all elements to chance." Igor Stravinsky and Robert Craft (1982). Themes and Conclusions, p.33. Berkley: University of California Press. "Much of the music is a Merzbild, put together from whatever came to hand. I mean, for example...the Alberti-bass horn solo accompanying the Messenger. I also mean the fusion of such widely divergent types of music as the Folies Bergeres tune at No. 40 ('The girls enter, kicking') and the Wagnerian 7th-chords at Nos. 58 and 74." Igor Stravinsky and Robert Craft (1982). Dialogues, p.27. "Composers combine notes, that's all." Igor Stravinsky and Robert Craft (1982). Dialogues, p.52. "The trouble with music appreciation in general is that people are taught to have too much respect for music; they should be taught to love it instead." "Doomed to total failure in a deaf world of ignorance and indifference, he inexorably kept on cutting out his diamonds, his dazzling diamonds, of whose mines he had a perfect knowledge." "Afterwards, after the concert, I heard them say: 'Too much noise'. And I wanted to ask: 'Where, exactly?'" "Silence will save me from being wrong (and foolish), but it will also deprive me of the possibility of being right." "Harpists spend 90% of their time tuning their harps and 10% playing out of tune." "Music must be listened to; it is not enough to hear it. A duck hears also." "Good composers don't borrow, they steal"
"IGOR STRAVINSKY (1882-), Russian musical composer, was born at Oranienbaum, near St. Petersburg, June 18 (O.S. June 5) 1882. His father was an opera singer, who early discovered his son's remarkable musical gifts. At the same time, however, he wished the boy not to devote himself entirely to music but to study law, and with this end in view Igor Stravinsky entered the University of St. Petersburg. At the age of 22, however, a meeting with Rimsky-Korsakov decided him in the direction of a musical career, and the former declared himself ready to take Stravinsky as a pupil. His first work for orchestra was a symphony (1907), followed by a suite, Faune et Bergere, and two short works, also for orchestra, Feu d'artifice and Scherzo fantastique. A meeting with Serge Diaghiliev turned his attention to the possibilities of the ballet, and in rapid succession appeared (Ig10), Petrouchka (191 I), and (1913). His next important work was an opera, Le Rossignol (1914), founded on Hans Andersen's fairy story of The Nightingale, of which the second and third acts were later worked up into a symphonic poem, Le Chant du Rossignol (1917). The opera was produced at Covent Garden in 1920, and the same year appeared a revision by Stravinsky of Pergolesi's Pulcinella. Igor Stravinsky (b.Oranienbaum (now Lomonosov), June 17 1882; d. New York, April 6 1971) was one of the most important composers of the 20th century. He was brought up in Russia. When the Russian Revolution started he moved to Switzerland and then to Paris, and finally, when the World War II started in 1939, he moved to the United States. Stravinsky wrote music in different styles. At first he wrote music similar to his teacher Nikolai Rimsky-Korsakov. He loved his native Russian music. He wrote music which had very complicated chords and rhythms. It is very lively music, and some of his best known works of this kind were written for the ballet company of Sergei Diaghilev: The Firebird, Petrushka and The Rite of Spring. They were written during the first two decades of 20th century. Igor Stravinsky was born in Oranienbaum, a town which is now called Lomonosov. His father was an opera singer who had a fine bass voice and sang at the opera house in Kiev and later at the Mariinsky Theatre in St Petersburg. Igor was the third of four children, all boys. As a child he spent the winter months in St Petersburg and the summers in the country where several of his relatives on his mother’s side had large estates. Igor was not particularly good at school, but he often went to see the operas in which his father was performing. He also went to ballets and even heard Tchaikovsky conduct in 1893, just before his death. He learned to play the piano, and also had lessons in harmony and counterpoint. He enjoyed improvising and he started to be interested in composing. He wrote some little piano pieces and showed them to the great composer Nikolai Rimsky-Korsakov who was the father of his friend. Rimsky-Korsakov told him he ought to continue to have private music lessons instead of going to the conservatoire. Shortly after this, Stravinsky’s father died. Rimsky-Korsakov became a great friend and helped him a lot. He met many musical people at his house, and Rimsky-Korsakov taught him a lot about how to write for the different instruments. For a short time Stravinsky studied law at the university of St Petersburg. Then he gave up his studies and married one of his cousins. They soon had a son and a daughter. In 1908 Rimsky-Korsakov died. Stravinsky met Sergei Diaghilev who was a famous impresario. Diaghilev wanted to put on performances of new operas and ballets. He needed a composer to write the music and he realized that Stravinsky would be the ideal person. He asked him to write music for a ballet called The Firebird, which was a Russian fairytale. Stravinsky wrote it at Rimsky-Korsakov’s country house and finished it in St Petersburg. The ballet was first performed at the Paris Opéra on 25 June 1910 by the Ballets Russes who were very famous in Europe. Mikhail Fokin was the choreographer. It has remained one of Stravinsky’s most famous pieces of music. Some of the music is often performed in a concert hall without the dancing. This version is called a “suite” (literally “a collection of dances”). It shows his love of Russian folk melody. On 29 May 1913 a new ballet by Stravinsky called The Rite of Spring was performed at the Théâtre des Champs-Elysées in Paris. It was an absolute sensation. Some people loved it and others hated it. There was a big fight in the theatre and the police were called in. People were shouting so much that no one could hear the music. Stravinsky became ill afterwards and spent some weeks getting better. When the ballet was performed again people were quiet and listened to the music. There were lots of new ideas in the music: harsh chords and very complicated rhythms. The music of The Rite of Spring had an enormous influence on the development of music in the 20th century. Stravinsky’s next idea for a ballet was one called Svadebka. The title means “The Wedding”. It is often called by its French title Les Noces. Stravinsky went back to Russia to collect some things that would help him to compose it. When he returned to Switzerland World War I started. When the Russian Revolution broke out in February 1917 Stravinsky thought this would be good, but when the Bolshevik Revolution followed it became obvious that he would never be able to go back to Russia. He wrote L’histoire du soldat (The Soldier’s Tale). It was performed in Lausanne with Ernest Ansermet conducting. There would have been more performances but many people had influenza. When the war ended Stravinsky decided to move to France. He wrote a ballet called Pulcinella which was based on music by the 18th century composer Pergolesi. It was performed at the Paris Opéra on 15 May 1920. In 1920 Stravinsky’s family moved from Stravinsky to Brittany, then the following year they moved to Biarritz. Stravinsky composed a piece called Symphonies for Wind Instruments. It was soon performed in London at a concert which also included The Rite of Spring, conducted by Eugene Goossens in the Queen's Hall. He met a theatre designer called Serge Soudeikine and fell madly in love with his wife Vera. Vera and Stravinsky saw one another as much as possible for the next 18 years. Meanwhile Stravinsky’s mother managed to get out of Russia and she joined Stravinsky’s family in Biarritz. Stravinsky had to support a large family, and he decided he needed to work more as a conductor and pianist instead of composing large works. He composed smaller pieces, including the piano version of three dances from Petrouchka. Later, when his son was grown up, he composed a Concerto for two solo pianos for himself to play with his son. He did not compose any more for the Ballets Russes, but he did compose Oedipus rex as a special tribute to them. This work was a mixture of opera and oratorio. The words were in Latin and were written by Jean Cocteau. It was performed as a concert performance. Although he did not write for Diaghilev any more, he accepted an invitation from Ida Rubinstein to write a ballet called Le baiser de la fée (The fairy’s kiss) which was based on music by Tchaikovsky. Diaghilev was annoyed, but then he died in 1929 and the Ballets Russes company no longer carried on. He met a man called Robert Craft who came to live with the family and helped Stravinsky sort out all his compositions and papers. He was surprised to find that Stravinsky never visited Schoenberg who only lived a few streets away. After Schoenberg died in 1951 Craft encouraged Stravinsky to listen to Schoenberg’s serial music. Soon Stravinsky started to use serialism in his own compositions. Craft travelled with Stravinsky and helped him a great deal, for example, by conducting some of the concerts, or rehearsing the orchestras before Stravinsky came.